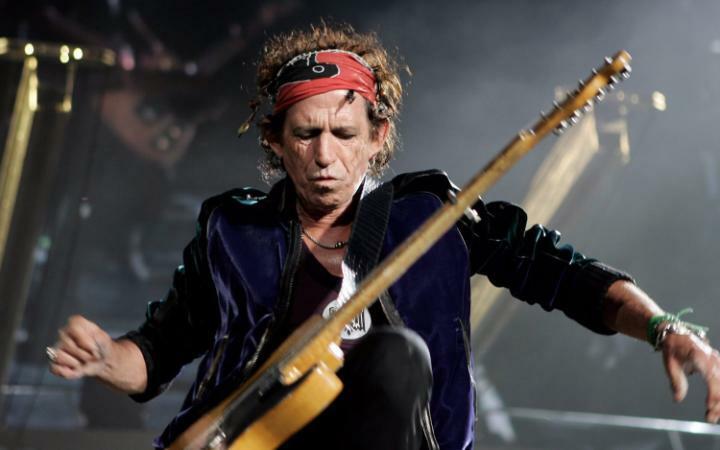 In a startling development for the Rock n Roll community, world famous Rolling Stones guitarist and songwriter Keith Richards was found alive on Wednesday. Crew members said they found his animated body sitting beside an amp, picking at a guitar and murmuring some incomprehensible melody. Shocked but elated, the roadies took Richards back to the dressing rooms and covered his old broken body with designer scarves and skull rings.